FHI Brands is a world-renowned professional haircare company whose products are cherished by both celebrities and consumers. 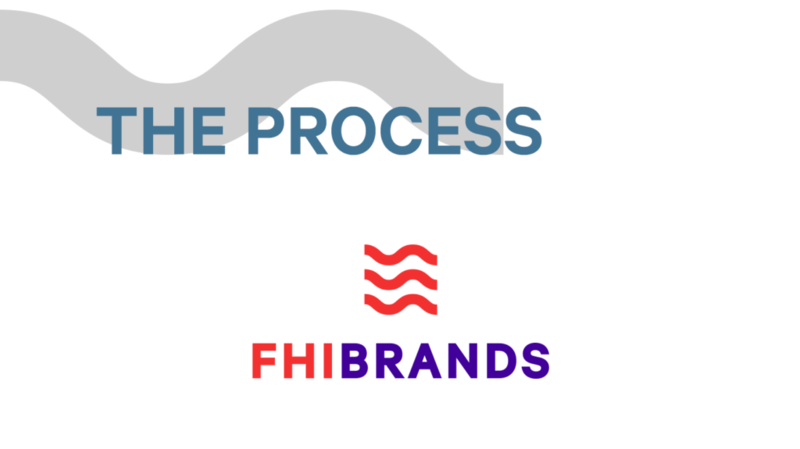 But, FHI Brands had a unique problem; since its founding 2003, the various sub-brands of FHI Brands had taken on a look of their own and were visually detached from the parent company. 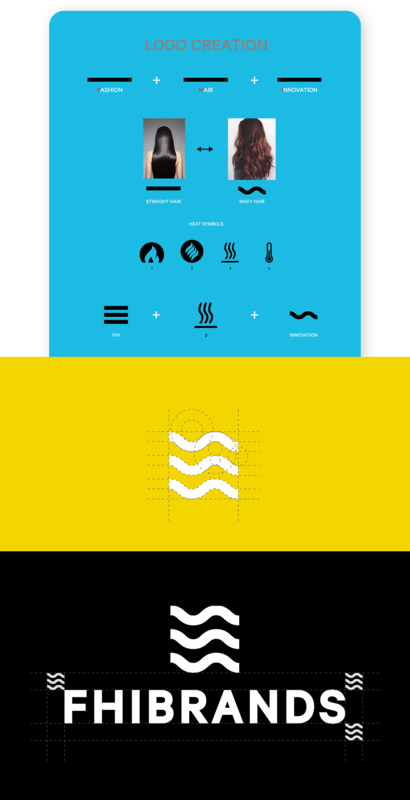 Each brand had its own logo and design guidelines. A creative solution was needed to ensure all the sub-brands were easily recognizable as a sub-brand of FHI Brands. To ensure each brand maintained its own name, a common theme had to be woven through each logo. The one thing all these sub-brands had in common was that they all had the letter ‘E’ in their name. 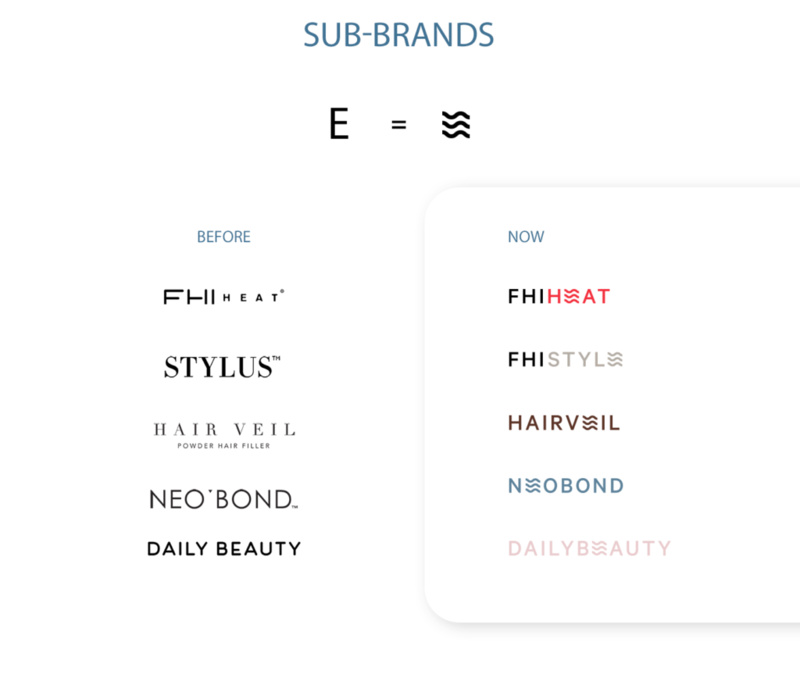 To unify the brand identity, the wavy lines (symbolic of wavy hair) replaced each ‘E’ in the logo of the sub-brands, making it readily apparent that these are the sub-brands of FHI Brands. In this redesign project, the brand guidelines of the parent company were followed to create logos that are unique to each sub-brand, yet identifiable as an FHI Brands sub-brand — and one that can be used across many platforms.